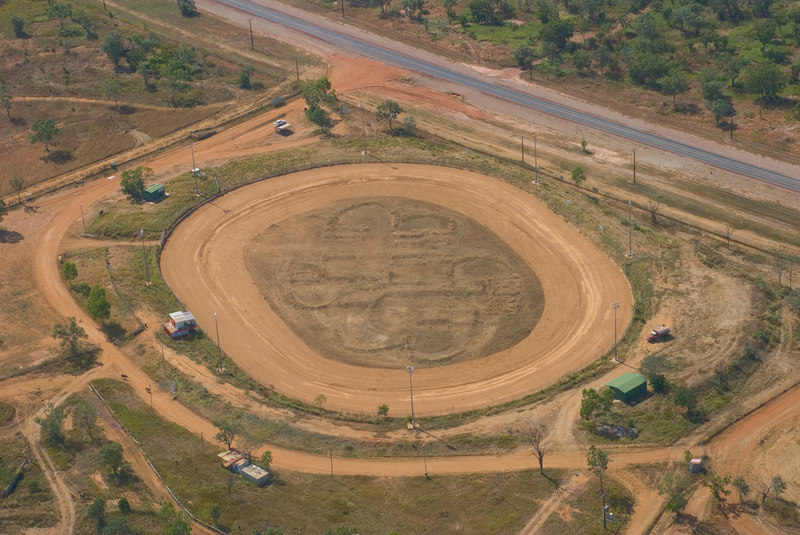 Speedway racing in Katherine is controlled by the Katherine Motor Sports Club. Crossroads Speedway was Katherine's first attempt as a club run venue, situated on Bicentenial Road appoximately 3km's from the Katherine town centre, the speedway chose to go through a major restructure at one point and since then the circuit now trades under the name of Kathene Speedway, The track runs in the dry season between May and October each year. "The Bunbury Bullet" Ron Krikke driving the Larry Miaolo owned #95 Maxim stole the show when he won the Northern Territory Sprintcar Championship at Katherine, the tital win was followed up with another feature win on the Wednsday night at Alice Springs.